Quality has always been at the heart of the Greenyard Fresh France policy, in order to allow it to ensure its growth within an ever-stricter statutory setting, for an ever more demanding clientele. This means monitoring products from reception of goods, during their storage and preparation and up to the point they are shipped. The Quality department therefore carries out approvals (acceptance checks) on incoming products. This control is carried out with regard to quality criteria established in the supplier specifications. This initial control allows for identifying the goods to be prepared as a priority, for providing information to the product manager and also to the supplier. Once the goods are stored, we carry out a quality control of the products throughout their storage phase. During order preparation, we direct the preparation agents to the batches to be used and we check the preparation in order to guarantee compliance with customer requirements in relation to their specifications. All these control processes are materialized by the signature of the FeL Partenariat agreement. The aim of this FeL Partenariat agreement, in addition to compliance with legal obligations, is to satisfy customer expectations on a food safety level (qualified staff capable of applying the hygiene, health and safety and traceability procedures). This operational quality, complying with European statutory hygiene requirements (Regulation (EC) No. 178/2002) has been strengthened by the implementation of IFS (International Food Standard) Food & Broker baselines in 2014. This corresponds to ISO 9001V2015 certification, the standard to which Greenyard Fresh France has been certified since 2001. This certification incurs several principles, including: customer orientation (satisfaction and consideration of implicit and explicit requirements), management and staff involvement, mutually beneficial relationships with suppliers, and the principle of continuous improvement. The quality system, which follows ISO 9001, is first and foremost a management tool that improves the collective organization and overall operation of the company, in the aim of sustainably satisfying our customers’ requirements and expectations. The Quality department is also responsible for developing lines of improvement for subjects such as productivity, safety and the environment, as well as corporate social responsibility. 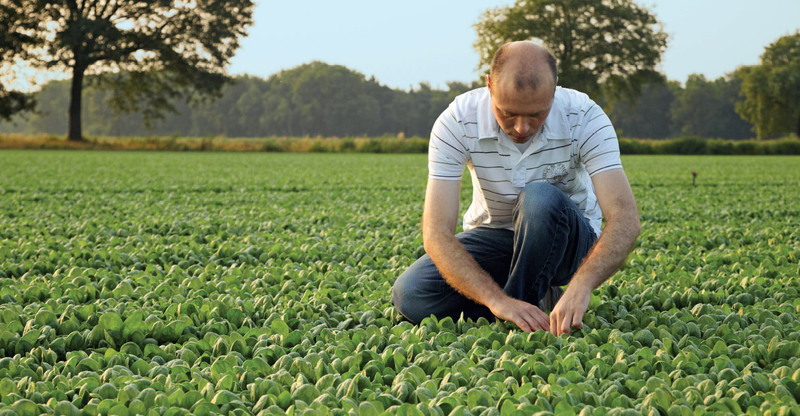 As a result, Greenyard Fresh France plays a role in the “Greenyard Sustainability project “, the aim of which is to reduce our environmental impact from distribution and logistics operations, improve social standards in all aspects of our organisation, and to pursue sustainable supply methods. maintain a desire for continual improvement within the organization by determining lines for improvement and measurable goals during management reviews. We also hold BIO (organic) by Ecocert and Fair Trade certifications. Likewise, all the group’s producers are GLOBALGAP certified and we encourage our suppliers from outside the group to follow the same approach. Lastly, the group’s conditioning and storage stations have implemented an HACCP system. Producers are often assisted by public bodies (PPECB in South Africa, COLEACP in Côte d’Ivoire and in Senegal, etc. ), which advise them on the varieties to grow, schedules, soil preparation, correct use of fertilizers and pesticides and the quality criteria for triggering harvest. All our producers are GlobalGAP certified. Each batch entering the conditioning station is subject to a degree of ripeness check (firmness, colour, sugar level) and is then sorted in accordance with the external appearance (determining the category) and size. Each shipment batch is then checked one last time before departure, in terms of both quantity and quality. 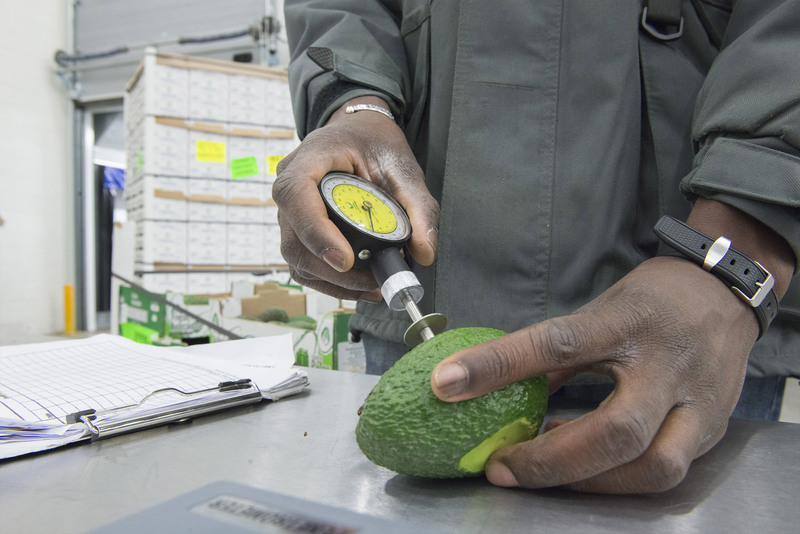 Each arrival is approved in accordance with the FeL Partenariat agreement established by our Fruit Importers Trade Union (compliance with product standards, degree of ripeness, tray packing, palletization), and recognized by the DGCCRF. Specific attention is paid by Greenyard Fresh France to this crucial food safety point. Compliance with storage temperature is crucial for fruit conservation and this point forms the subject of regular checks. Produce in storage is subject to quality monitoring. In accordance with standard ISO 9001, the entire Quality Management system is regularly audited in order to ensure faultless compliance by the procedures implemented and correct operation of the various processes. 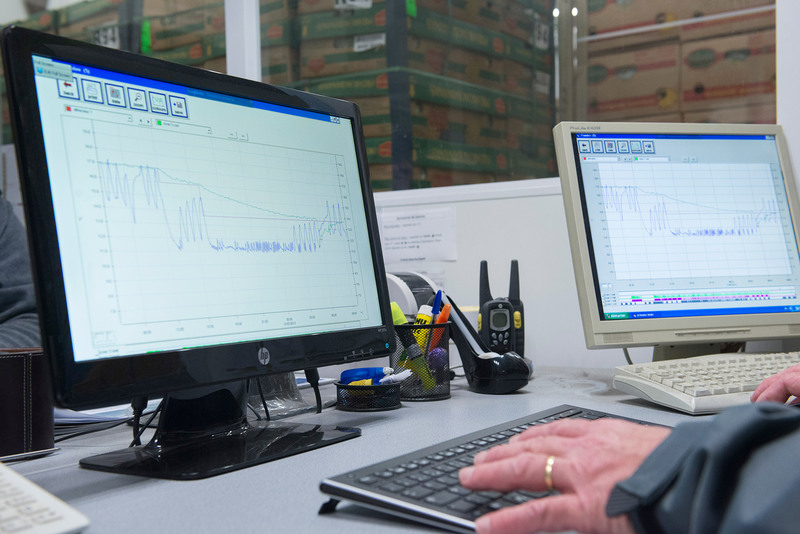 All orders form the subject of a final control before leaving the warehouse in order to check: compliance with the order (variety, size, conditioning and quantity), compliance with the degree of ripeness or coloration expected by the customer, tray packing and palletization status, correct compliance with customer specifics (monitoring sheet, PLU code, EAN 13/128, date code, etc. ).